You are what you eat! This old adage is true and we know you can achieve a higher level of health through nutrition and lifestyle medicine. Enhancing your life experience is at the center of what we do and we are dedicated to offering the safest, most effective natural approaches to your health condition. An unhealthy body composition can lead to a variety of health conditions. Chronic diseases like heart disease, diabetes, arthritis, Crohn’s, cancer, fibromyalgia and more, have been linked to increased weight and altered body composition. The cause: Lifestyle. With time your body composition changes due to lack of exercise, consumption of too much food and a decline in your metabolism as you age. The body slowly replaces lean muscle with fat changing your body composition and cause a cascade of genetic change leading to chronic health conditions. This is called sarcopenia by way of epigenetics. The solution: Everything You Need for Improving Health…Naturally. Find the natural path to improving health and losing weight, obtaining an ideal weight for your body type and reverse chronic illness. From overviews on our science-based lifestyle programs to address common health concerns to innovative that perform like no other products available anywhere. We implement 3 different solutions. You and your doctor can discuss what fits your needs and lifestyle the best. We implement Bioimpedence analysis and blood work to establish your starting point. This simple and inexpensive testing will show your blood sugar levels, cholesterol, body fat %, muscle mass, cell integrity and hydration levels. This established baseline will allow you to scientifically quantify your changes and the doctor to modify your program to adapt to your changing needs. Our nutritional supplements and formulas are scientifically formulated based on proprietary and published studies in nutrigenomics—how nutrition influences genetic expression for good health. In other words, food and other plant components send signals to cells in the body that ultimately influence our health. That’s why we say our nutraceuticals and medical foods help patients reach their “genetic potential through nutrition.” It’s also why we’re the Metagenics™ is the trusted professional brand for patients and health care providers worldwide. Metagenics™ is the only company to be awarded Good Manufacturing Practices (GMP) certification from the top three (3) leading independent auditors of quality. 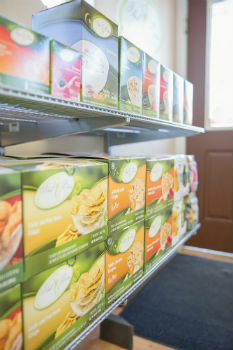 We carry a wide array of all the products you need to meet your therapeutic lifestyle change needs.